These two famous stars shine down from the northern sky. Eltanin and Rastaban represent the fiery Eyes of the constellation Draco the Dragon. 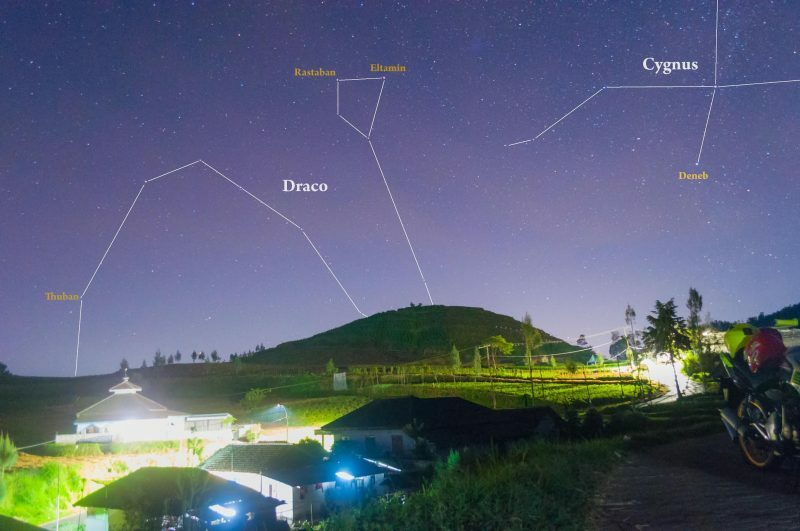 Draco and its stars Rastaban and Eltanin, as captured from Indonesia by Martin Marthadinata on May 25, 2017. Our human eyes and brains easily pick out pairs of stars on the dome of night, especially if the two stars are relatively bright. Few such couplings represent true partner stars in space, however. Some well-known stellar pairs that are not truly bound include the two stars of the constellation Gemini the Twins – Castor and Pollux – as well as the Little Dipper’s bowl stars Kochab and Pherkad. On Northern Hemisphere summer nights, another famous pair of stars – not gravitationally bound – peers down at us from the northern sky. These stars are Eltanin and Rastaban, representing the fiery Eyes of the constellation Draco the Dragon. Follow the links below to learn more. 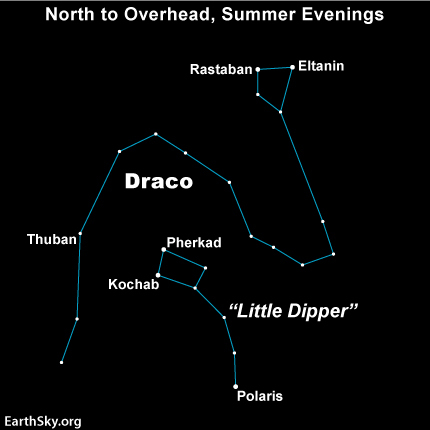 The long and winding star figure of Draco can be found in the northern sky on northern summer evenings. In a dark sky, look for the Dragon’s tail to snake in between the Big and Little Dippers. 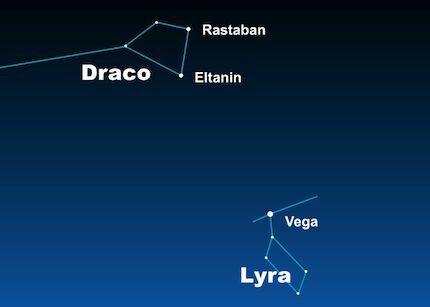 If you’re in a city or suburb, look for Eltanin and Rastaban near bright star Vega in the constellation Lyra. How to spot Eltanin and Rastaban. Once you become familiar with the brilliant Summer Triangle star pattern – a large asterism consisting of three bright stars in three different constellations – it’s easy to star-hop to the Dragon’s Eyes. Draw an imaginary line from the star Altair through the star Vega to locate nearby Eltanin and Rastaban. The Dragon’s eyes appear in the northeast sky on spring evenings, nearly overhead on late summer evenings and in the northwest evening sky in late autumn and early winter. View larger. | The Milky Way passes through the Summer Triangle. Draw an imaginary line from the star Altair through the star Vega to locate nearby Eltanin and Rastaban. Science and history of the Dragon’s Eyes. Modern astronomy has determined that the star Rastaban lies well over 200 light-years farther away than its counterpart in Draco, Eltanin. Best estimates place Eltanin at 148 light-years and Rastaban at 362 light-years distant. As seen from Earth, Eltanin appears as the brighter star, but that’s because it’s so much closer to us than Rastaban. If these stars were the same distance away, Rastaban would shine some six times more brightly than Eltanin, and we’d probably no longer see the two stars as the Dragon’s Eyes. In attempting to find stellar parallax, the annual shift in stellar position caused by the shifting position of the orbiting Earth (from which we get stellar distance), in 1728 James Bradley discovered an “aberration of starlight,” which is caused by the velocity of the moving Earth relative to the speed of the light coming from the star. The discovery once and for all proved that Copernicus was right and that the Earth truly does move around the central sun. Eltanin is the Gamma star in its constellation Draco, and yet it is Draco’s brightest star. It outshines Rastaban (Beta Draconis) and also outshines Thuban (Alpha Draconis). Why does Thuban have the Alpha designation in Draco? It’s because Thuban is a former pole star! 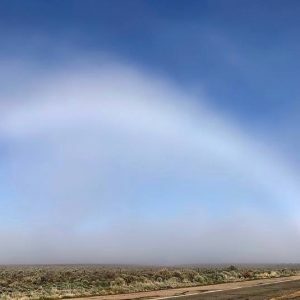 Yet the mathematical wizard Jean Meeus (page 363 of Mathematical Astronomy Morsels V) calls Eltanin the “Queen of the Poles” because this star will be the north pole star in the year 92020 and then the south pole star in the year 2083470! 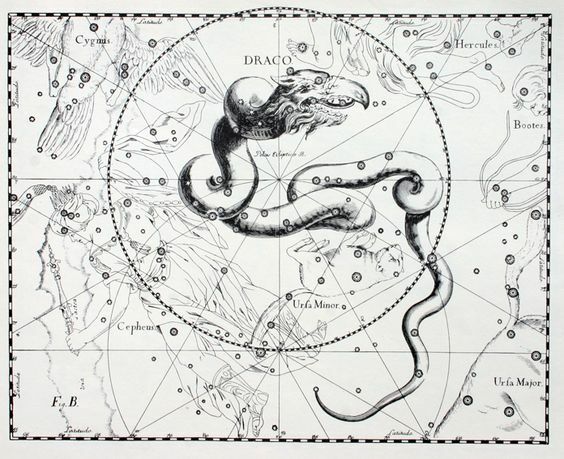 The constellation Draco from Uranographia by Johannes Hevelius, 1690, via Pinterest. Bottom line: Eltanin and Rastaban represent the fiery Eyes of the constellation Draco the Dragon.